Picking the right shade of grey is still giving us trouble. It turns out that grey is tricky tricky tricky (yes, that’s a 90s throwback to Run DMC). So, as you recall from our last post, we tried about a million paint samples before we settled on Benjamin Moore’s Iced Cube Silver. We spent several nights after our little man went to sleep frantically painting (we’ve been sleeping in the guest room since we primed the walls and we’re anxious to get back in our bed). Spoiler alert: we hated it. Maybe it still looks grey in the pictures, but you have to trust us. It was blue. So, back to the drawing board…. 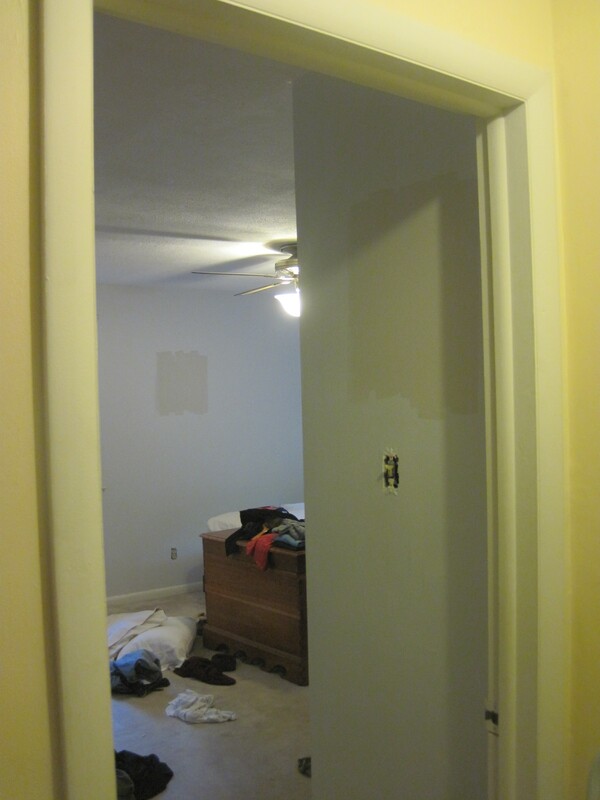 The good news is that now the bedroom was covered in an eggshell paint and not a flat paint (so dry and dirty-looking). 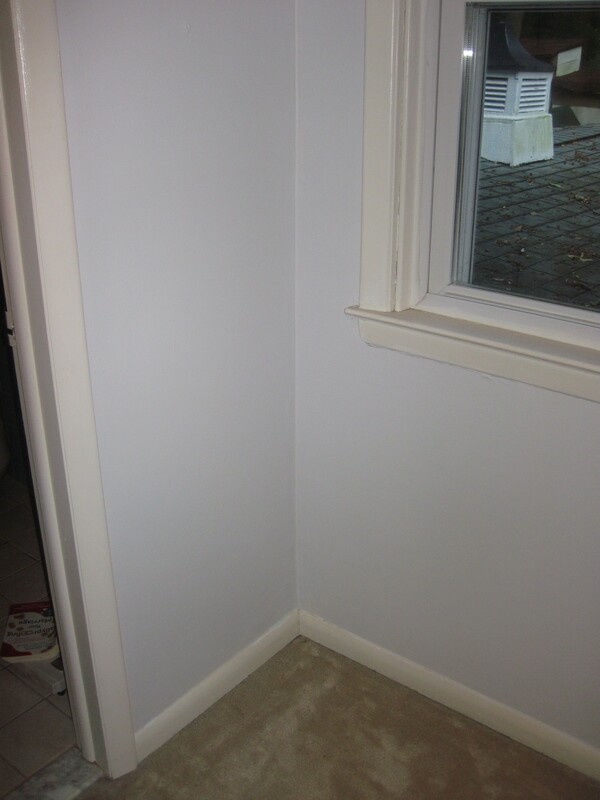 And, more importantly, the paint color was blue and not pink. That meant we should have an easier time picking a new paint color because the swatches will no longer be tainted by the nearby pink. We will let you know for sure soon!